Digital logistics and inventory allows companies to move beyond functional excellence to encompass enterprise logistics management and supply chain integration, leading to better cooperation and optimization of processes. Real-time, geo-located shipping increases the visibility and transparency of the supply chain by providing realtime data about where the product is located. 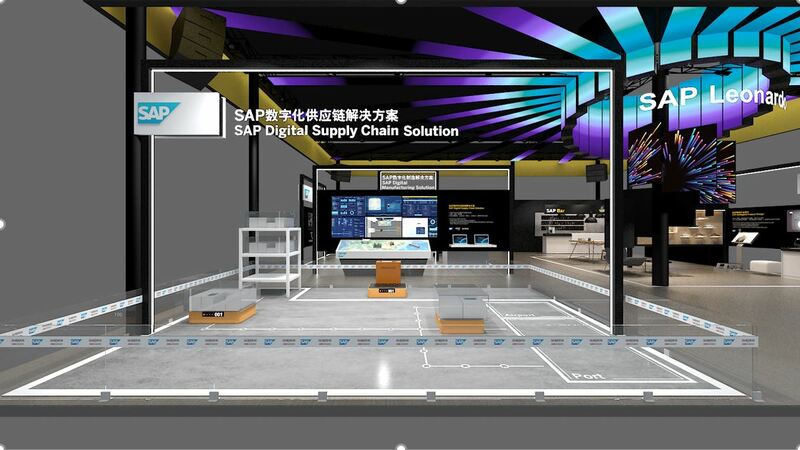 This showcase on China Internation Industrial Fair 2017 demonstrates how SAP digital logistics solution integrating with emerging technologies, to build a more efficient, accurate, and intelligent supply chain. In the warehouse, picker is wearing a smart glass with Automatic Speech Recognition to do voice picking. The robot comes to him when he says “start picking”. He can use the smart glass to scan the bar code on the package and confirm his picking task. When he finished picking, the transportation management system will recommend an optimal means of transport, taking cost and time constraint into consideration. For example, in this case, the system recommends deliver by rail to meet customer’s requirement. Meanwhile, the warehouse management system assigns a transfer order to the robot. Now you can see the robot is transferring the package from storage area to shipping area. The shipping worker scans to confirm and unload the package. The robot goes back to the parking area automatically and waits for next task. Big data analysis enables manager monitoring the status of robots, get working progress and analyze the overall performance in an warehouse. With SAP Global Track & Trace solution, customers can track the progress of this order. He can get the real-time location of his package, and monitor the conditions during delivery such as temperature control and shock level. With that, customers can easily know his package can be delivered on-time with no damage. 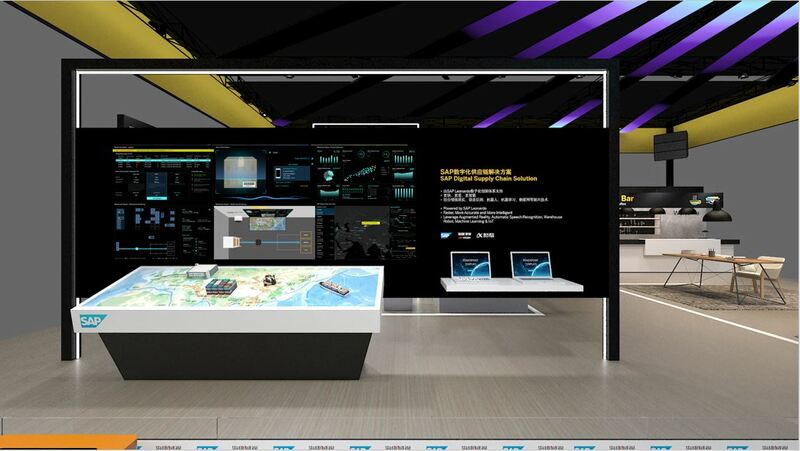 Now you see SAP digital supply chain solution improve warehouse automation, deliver supply chain visibility, and make the supply chain more efficient and intelligent.